Editor’s Note: This biweekly column is sponsored by Dominion Wine and Beer (107 Rowell Court, Falls Church). This week’s Guide is written by David Birks, General Manager and buyer of Downton Crown Wine and Beer. It was only a year ago that esteemed homebrewers Scott Janish and Mike Tonsmeire signed a lease on a building in Columbia, Md. That space now holds the production brewery and tap room for one of the hottest breweries in our area, Sapwood Cellars. Mike is the author of “American Sour Beers”, a widely respected book on mixed fermentation beers. 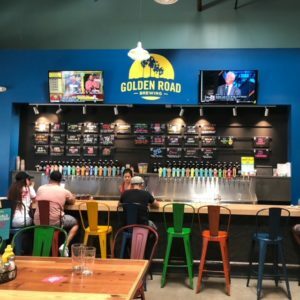 He also was an original recipe writer and flavor developer for Modern Times Beer in San Diego, Ca. Scott gained fame through a blog primarily focused on the science of how hops are used in the brewing process. He has carried out various cutting edge experiments on the components of hops, and how they can be best utilized within the brewing process. 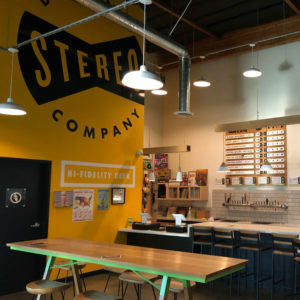 Together they have immersed themselves into a philosophy of making world-class beers through the understanding of processes, techniques and ingredients. Rarely is this seen in the brewing industry, and almost never in a brewery in its infancy. Open now for less than 6 months, the general consensus seems to be (and we agree) that their beer is of the highest quality. They are definitely living up to, if not exceeding their pre-opening hype. I would call these guys beer scientists. 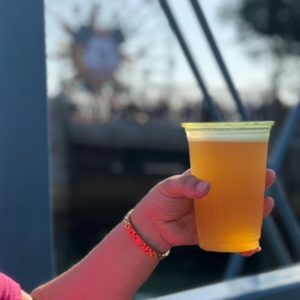 It’s one thing to throw a ton of various hops into a hazy IPA, jack up the ABV to mask flaws, put out a super hoppy hazy beer and watch it fly out the door. We find that way too often. But what sets the best of the best apart from the rest? I believe (although I am no brewer) that it all comes from a complex understanding of process and ingredients, paired with the knowledge of how those two key aspects work together. This understanding is what can create truly wonderful beer. That work was on display when Sapwood released a Double IPA named ‘Snip Snap’. A wonderful beer, clocking in at 7.9% ABV, hopped generously with Citra and Galaxy hops. We had our first taste during the Montgomery County, Md introduction event of Sapwood at our sister store Downtown Crown Wine and Beer in Gaithersburg, Md. That weekend ‘Snip Snap’ became the beer of choice amongst our customers and with those visiting the brewery. Word spread in a viral fashion on all of the local beer forums, and in the coming days, the hype and demand for Sapwood just seemed to grow and grow! One exciting thing to look forward to is all of the beer they currently have aging in a variety of barrels. With Mike’s knowledge of mixed fermentation (wild yeast, bacteria and microflora), the future looks bright for those that enjoy complex, barrel-aged wild ales. They are also aging a variety of non-wild ales in various spirt and wine barrels. If you are interested in trying the work of Sapwood Cellars, head over the bridge to their brewery in Columbia, Md. Kegs rarely leave the brewery, but this weekend they’re introducing ‘Concentric Rings’ (a brand new 8.1% all Citra hopped Double IPA) and ‘Threat Level Pistachio’ (a variant of their 7.4% ABV Stout with the addition of dry roasted pistachios). A second batch of ‘Snip Snap’ is on the horizon for those that missed out the first time around. Sapwood is located off of Route 108 in Columbia, Maryland. Right up Route 29 or I-95. Easy Drive from Arlington, D.C. or the rest of Virginia. As this weekend’s New Years Eve festivities approach, most of you are going to buy a nice bottle of champagne or sparkling wine to celebrate the New Year. Usually I would go in depth of what champagne exactly is, the process of making champagne and all the different types of champagne, but I will save that for another time. For simplicity purposes I’m just going to write up a quick guide that should ease you into buying a nice bottle to pop open for your celebration. You will notice that actual champagnes from France have a higher price tag than other sparkling wines from the rest of the world. This difference in price is just. Producers from around the world have tried to duplicate the quality and taste of champagnes for years to no avail. Some come close, but champagnes from France are truly unmatched (in my opinion). According to French law, champagnes must be a cuvee of chardonnay, pinot noir and pinot meunier grapes. 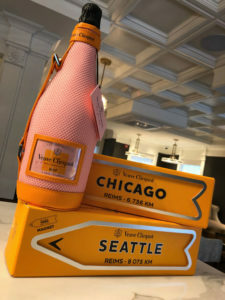 There are many types of champagne available at most reputable wine stores. Picking one maybe pretty daunting unless you can read French. You cannot go wrong with a big name such as Moet, Pierre Jouet, Taittinger, Piper Heidesick and Veuve Clicquot. These champagnes are crowd pleasers, and have been produced for more than a century. Louis Roederer and Ruinart are also classic champagne producers that are of excellent quality. All these producers make a rose varietal of their cuvee. Roses tend to be slightly sweeter, and not as dry as their brut counter parts. Avoid overpaying for champagnes such as Ace of Spades and Cristal. Although these champagnes are of good quality, the price has been inflated due to pop culture referencing them in music videos. If you do feel like paying the extra price for vintage champagne, try Dom Perignon or first growth champagne. Even though sparkling wines are not true champagnes, most use the same method of secondary fermentation. This method is called methode champenoise, which is where producers bottle the wine and add sugar and yeast. Secondary fermentation takes place producing carbon dioxide, which is where the bubbles come from in champagnes and sparkling wines. All this takes place in the bottle you buy from your local retailer. 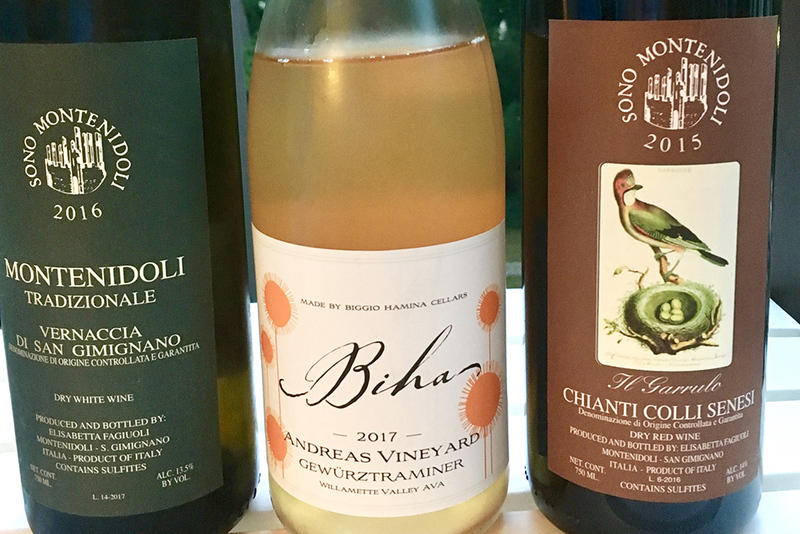 Now the less inexpensive sparkling wines, such as Prosecco, ( We went in depth about Prosecco last here, can read here) have their secondary fermentation in pressurized stainless steel tanks known as the charmat process. This process is much cheaper for producers and often produces bulk sparkling wines. Unless mixing with orange juice stay clear of these sparkling wines, they often are high in sugar and alcohol and produce hangovers. When picking out a sparkling wine, it is very important to see on the label “Traditional Method” or “Method Champagne.” This indicates that the sparkling wine was made the same way champagne is made in Champagne. Most cava’s from Spain and sparkling wines from California use the traditional method and are very good alternatives to Champagne. I hope this brief guide will help you pick out a great sparkling wine for you to celebrate the New Year with. Please drink and celebrate responsibly. Editor’s Note: This biweekly column is sponsored by Dominion Wine and Beer (107 Rowell Court, Falls Church). This week’s Guide is written by Sam Dial. As the brewery scene becomes more and more hyper localized, there are a select few that transcend that and reach national appeal. 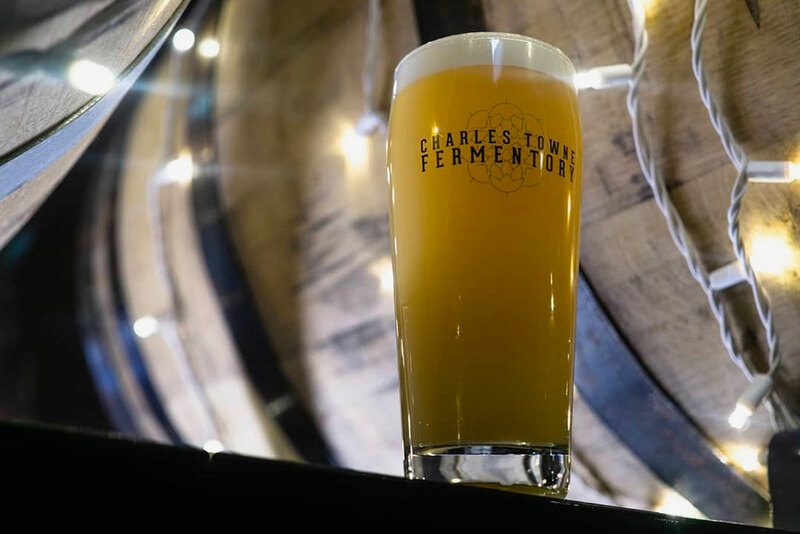 Founder and head brewer Adam Goodwin has had his hand a couple of these breweries on his way to opening up Charles Towne Fermentory (CTF) in 2016. Picking up experience from Tired Hands Brewing, Philadelphia, and as founder and head brewer of Trillium in Boston, Goodwin, alongside partner Justin Slotnik, started his own project to focus his beer around quality and simplicity. They set up shop in the the old Lyerly’s Dry Cleaning building brewing on a 15-barrel system, which is a major scale reduction from Trillium, who houses 30 barrels at just one of their locations. Reason being, smaller production scale gives Goodwin the freedom to experiment more, while still allowing his large production experience to shine through. 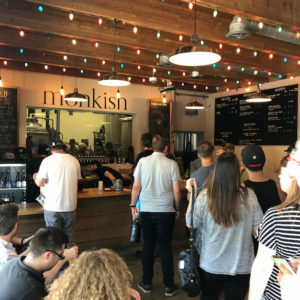 Brewing on a limited system means that CTF originally only allowed customers to fill growlers at the brewery to take home, adding crowlers and cans over their two years of business. 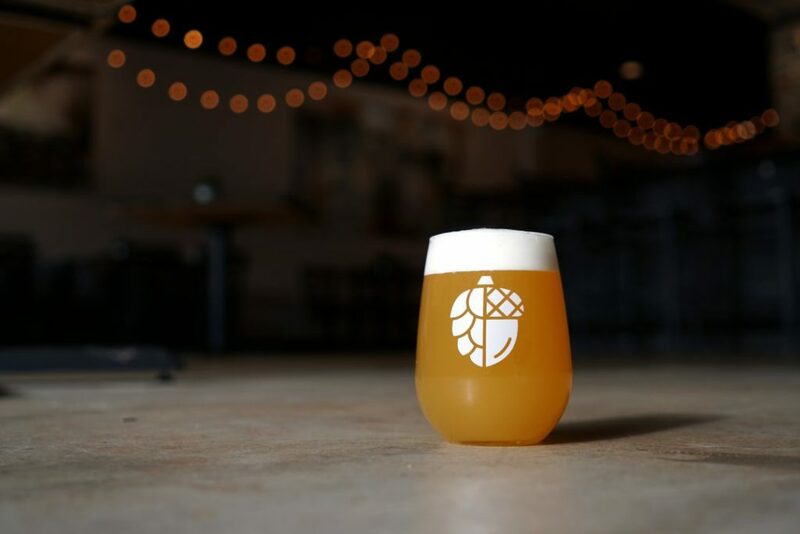 Their limited production also means CTF has to be selective with where they send their liquid, and we are thrilled be featuring their beer for the first time! ‘Sidestepper’ — 8.3% New England Double IPA with Citra, Amarillo and Simcoe. Not just another haze crazed IPA like most these days, this beer is about showing off the depth of flavors of the hops. It is floral and neon-lights bright, with juicy with notes of tangerine that are all balanced by an incredibly pleasing bitterness that lingers throughout. Not even boozy sweet, this is a dangerously drinkable DIPA. ‘Infinite Yawn’ — 4.7% Dry Hopped Blonde Ale. So, this is a style of beer that I especially enjoy. A delightful, easy drinking light beer dry hopped with Motueka and Mosaic. Don’t think that this a plane-jane beer made to carry hops, this isn’t like getting chips so you can eat guacamole. It’s dry and slightly bready which plays as a great backbone to the passion fruit, peach, and orange peel from the hops. Crazily crushable, tremendously tropical, brilliantly balanced, Charles Towne Fermentory shows what they are about with these two beers. This weekend at Dominion Wine and Beer includes great draft features for pours and crowlers, plus an irresistible pairing special featuring our delicious Certified Piedmontese tenderloin! 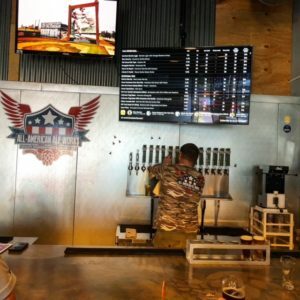 Follow our Twitter handle for tapping alerts and download the DigitalPour mobile app to view all 36 of our taps, pricing, and crowler/growler availability in real time! 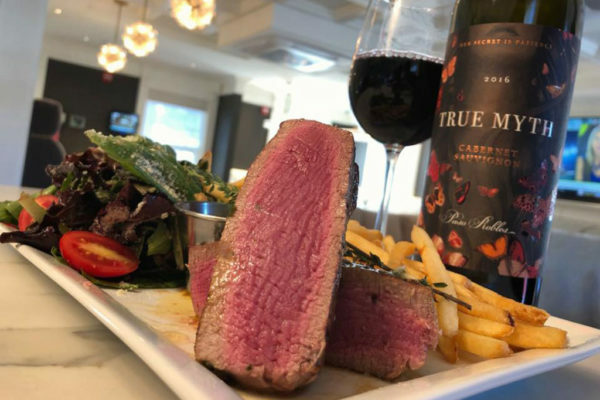 For a limited time, take advantage of our amazing Tenderloin & Cabernet pairing special! Treat yourself to an 8 oz. Piedmontese tenderloin, seared and basted, dressed with Maitre d’ Hotel Butter, house salad and fries on the side, paired up perfectly with a glass of True Myth Wines Paso Robles Cabernet Sauvignon! An absolute steal at $40! We are quite proud of our filet and our food in general! Come enjoy a great meal and night out at Dominion. For a full list of new beer arrivals, wine sales, and more details click this link. New beers include Solace Brewing Company Buzz Magic Double IPA, @birds fly Birds Fly South Ale Project Radio Silence Pale Ale, Mast Landing Brewing Company Little Choppy Hoppy Session Ale, and many more! Full list of arrivals in the link below. 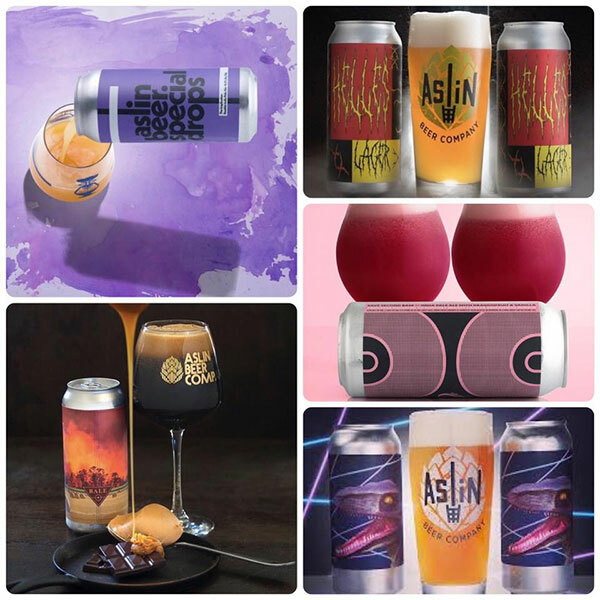 This week’s featured brewery is Aslin Beer Company! Aslin x Casa Agria Specialty Ales ‘Bale’ Peanut Butter Turtle Candy inspired Imperial Stout! Aslin ‘Save Second Base’ NE IPA w/ Dragon Fruit & Vanilla, a portion of the proceeds of this beer will be donated to the Dr. Susan Love Research Foundation for breast cancer research! And last but not least, tapping soon: ‘The Implication’ Double IPA, loaded with Nelson Sauvin, Hallertau Blanc and Lemon Drop. Pours only on all Aslin beers. Download the DigitalPour mobile app to view all 36 of our taps in real time with pricing and crowler availability! Stop by Saturday from 1-5 p.m. for our weekly wine tasting! This week we are featuring Rasa Vineyards Occam’s Razor Red, Weingut Köster Wolf Müller-Thurgau, Domaine Pillot Jean-Michel et Laurent Bourgogne Rouge and Eden Ciders Heritage Cider! 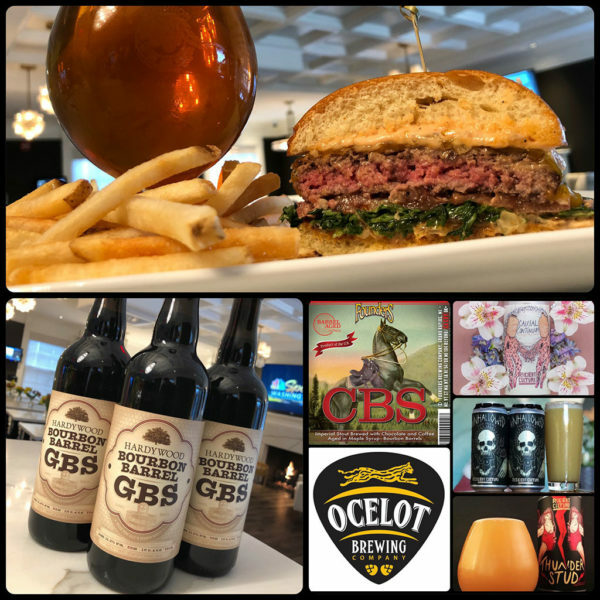 Full list of new beer arrivals, wine sales, and more details click this link. Dominion Wine & Beer is thrilled to announce that our brand new wine & craft beer bar is OPEN! The new addition is located directly above our existing retail bottle shop in Falls Church. 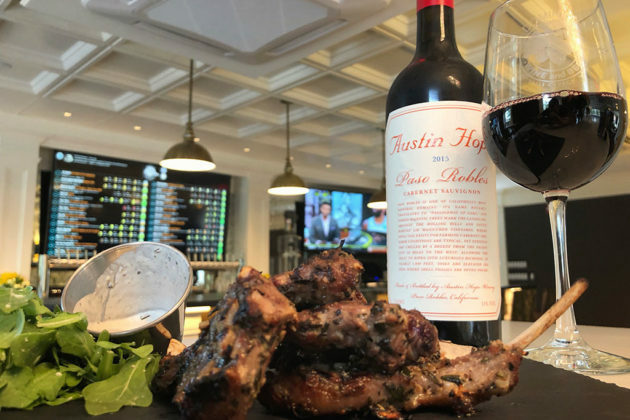 At Dominion, you can enjoy a great meal, pint of craft beer or glass of wine plus shop the areas best selection of beers and wines to take home. We’re still in our soft opening phase and would like to thank everyone for the incredible support shown and feedback given during our first few weeks. We are now open full time with our hours listed below. Retail store hours have been extended to offer all of the great aspects of the business in unison. 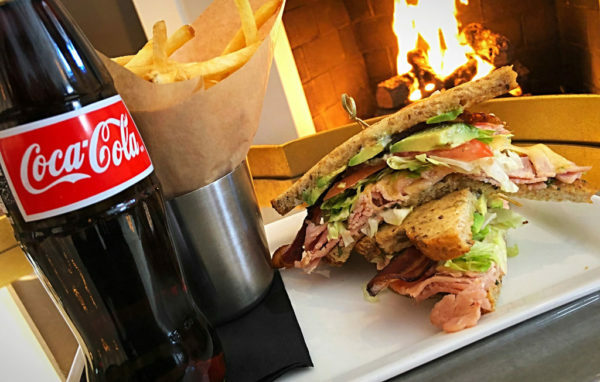 New options on our menu are being introduced nightly with the intention of offering our full menu with a few weeks. 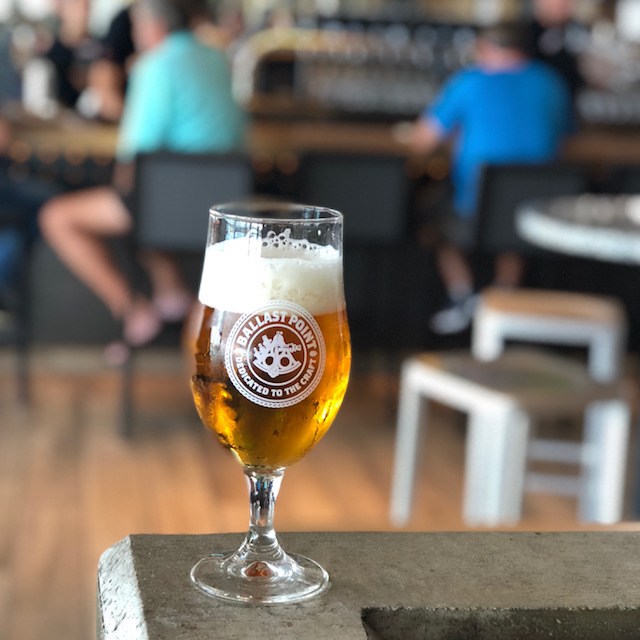 Our craft beer and wine bar features 24 rotating craft beers on tap as well as 16 wines by the glass, alongside an extensive bottle list (wine list still in the works). 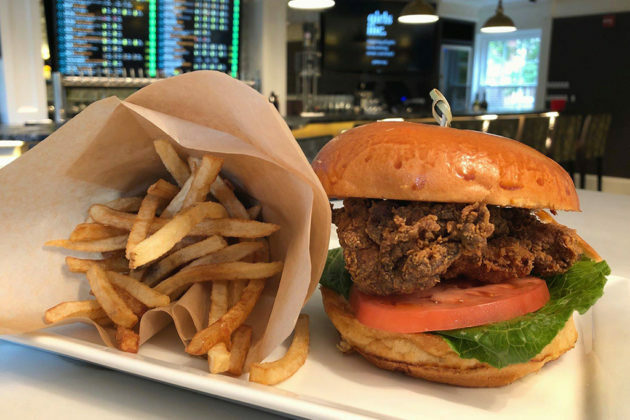 Our current food menu features some great options including a delicious fried chicken sandwich, crispy Brussels sprouts, honey glazed and spiced Malibu carrots, charcuterie boards and much more! Downstairs in the retail area, you’ll find 12 additional rotating draft lines with pours and crowlers available from all 36 taps. 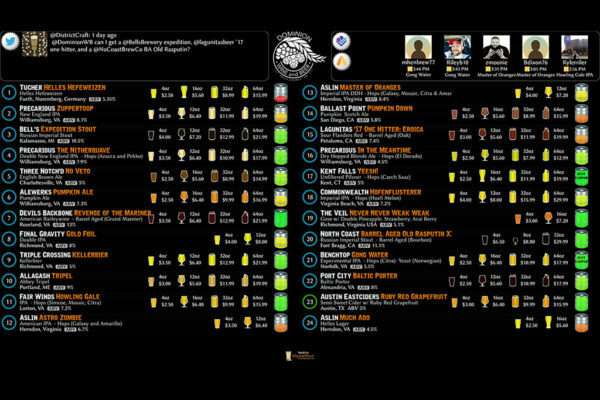 Download the DigitalPour mobile app to view our entire draft list, prices and growler fill/growler availability in real time. We can’t wait for you all to come out, see our new space, and experience the new Dominion Wine & Beer! Kitchen opens at 3 p.m. Monday-Friday and at 12 p.m. on Saturday and Sunday. Editor’s Note: This biweekly column is sponsored by Dominion Wine and Beer (107 Rowell Court, Falls Church). This week’s Guide is written by Alex Doran of Dominion Wine and Beer. 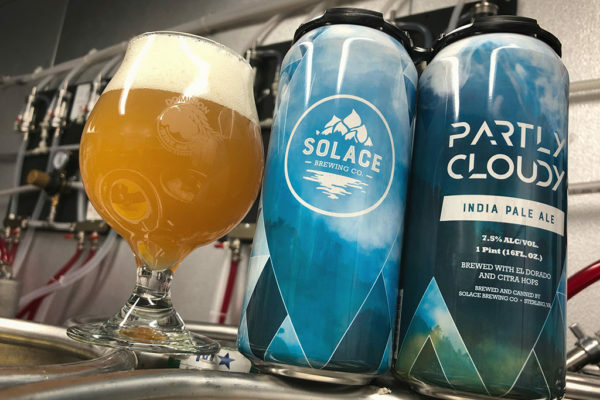 Solace Brewing Company opened it’s doors just over a year ago in Sterling, VA. You may remember our article from last year about them. Saying that they had a good first year is an understatement. We knew something special was in the works, and their liquid was proof. Now the proof is in the numbers. Co-founders Drew Wiles, Jon Humerick and Mike Arms designed their facility in order to easily grow. What was once an annual brewing capacity of 3,000-4,000 barrels is now 5,000-6,000 barrels annually. A brewery that once consisted of four 40 barrel unitanks and one 40 barrel bright tank has now added a 60 barrel unitank and two 80 barrel unitanks. Solace opened its doors to allowing customers to enjoy their beer to go via growlers. They have since added a crowler machine and are now canning two of their beers. 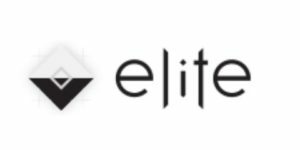 Distribution was in the business plan from the beginning, starting in Northern Virginia and Washington, D.C. and now expanding into Maryland this week. I stopped by the brewery to check out their stylish new cans that were fresh off the canning line. Partly Cloudy is a 7.5% IPA that has become a staple in their line-up, and a great seller for us, the brewery and many others. This week they added it to their can rotation (in addition to Sun’s Out, Hops Out) to make two cans available to-go at the brewery and across their original distribution footprint. We just got our first drop of Partly Cloudy cans and have stacked it up right next to Sun’s Out Hops Out. If their one year mark is a sign of what is to come then I think we can all agree to buckle up for a great year two. Solace has two more tanks on order. They also plan to can Lucy Juicy Double IPA in the next month or so as well as several other one-offs and experimental brews beyond that. Grab some Solace this weekend when you come see us or check out the brewery if you haven’t already. You will thank me later. Editor’s Note: This biweekly column is sponsored by Dominion Wine and Beer (107 Rowell Court, Falls Church). It is written by Sarah Garratt, a wine and food pairing blogger. Follow her blog or on Instagram @grapepairings. Looking through a wine aisle or a wine list, you may have spotted the words “natural wine” on a bottle or description. Natural wines are becoming more and more prevalent in wine stores and restaurants, and it is important to know what “natural” really means in the wine world. Natural wines are as pure, raw and bare bones as grapes and wine can be. They are unfiltered and made from all local grapes and yeasts. The grapes are typically grown by small and independent producers, and everything is done organically and sustainably. During the winemaking process, nothing is added or taken away. This means no additives or preservatives. However, this also means that they can spoil quicker, as there is nothing to help them to age. Being unfiltered, many natural wines have a cloudy tint to them (coming from the yeasts) and can taste quite unique! True, there are no added sulfites in natural wine. However, there is still no proven evidence that sulfites cause headaches, so that is not exactly a bad thing. True also, natural wines are unfiltered and have no additives. However, this means that whatever bacteria or imperfections that were grown on the grapes of the natural wine have also been unfiltered and are in the final product. It is also good to know that not all additives are bad for you! There are usually more harmful additives in the processed foods we eat than in the wine we drink! While not necessarily healthier than any other bottle of wine, natural wines are definitely a great way to try something new. Dominion Wine & Beer has some natural wines for you to try, three of which are featured today! All of them are unique, from smaller producers, and excellent to pair with food. 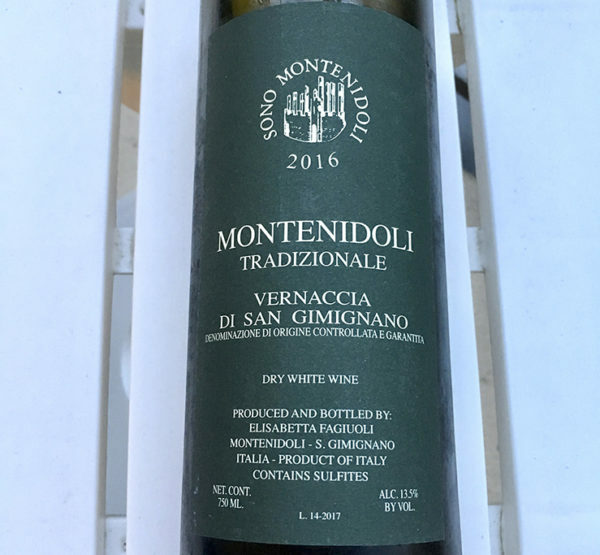 Let’s start with an Italian white wine, 2016 Montenidoli Vernaccia Di San Gimignano ($20). 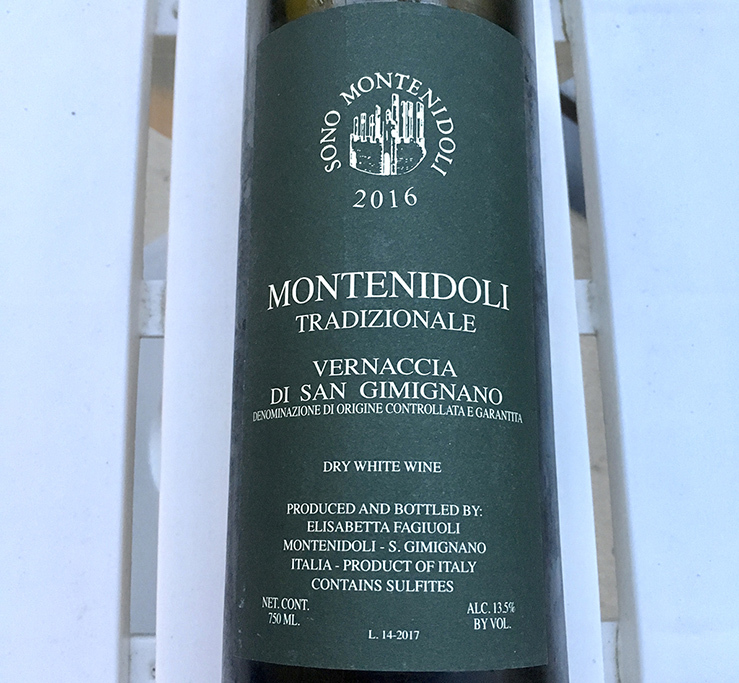 This Vernaccia has so many flavors going on! Each whiff of the wine brought out a different note. Smells and tastes of lemon, peach, camomile, yellow apple and freshly baked bread are all present in this white wine. It is definitely a conversation starter! Being very full bodied for a white wine, oil or mayonnaise based salads would be excellent. Think tuna, chicken, bean, pasta or potato salads. The 2017 Biha Andreas Vineyard Gewürztraminer ($20) is an orange wine from Oregon. Don’t be fooled! There is no food coloring in this wine! While white wine is made from grapes without the skins on during fermentation, orange wine is made with white wine grapes and fermented in the skins. This gives the wine that orange color. 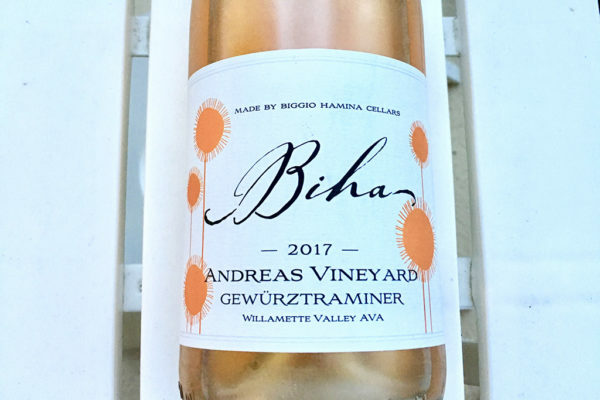 This gewürztraminer is bright orange, and full of honeysuckle and orange blossom notes. It has a long and acidic finish that would make it delicious with curry, chutney and hummus. Not all natural wines are white. 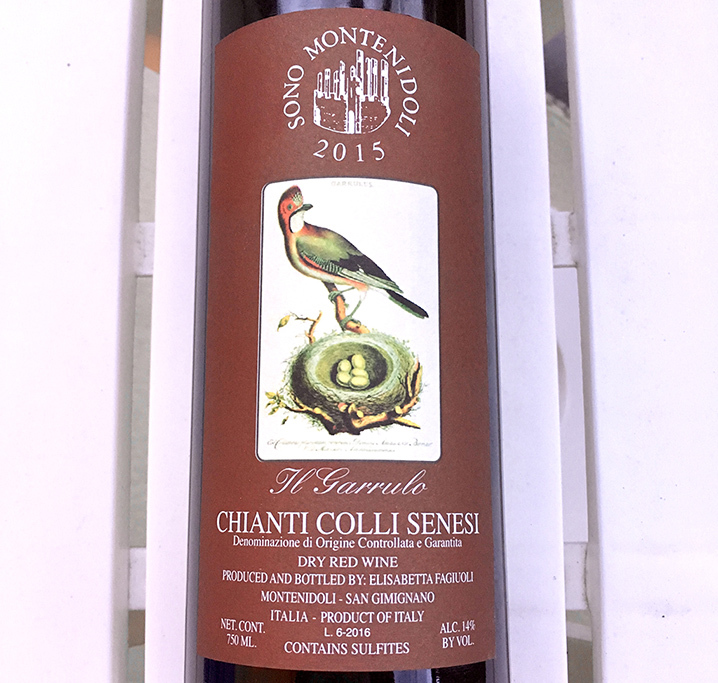 This 2015 Sono Montenidoli Il Garrulo Chianti Colli Senesi ($20) from Italy (same producer as the Vernaccia mentioned above) is a red wine with a gorgeous, garnet color. 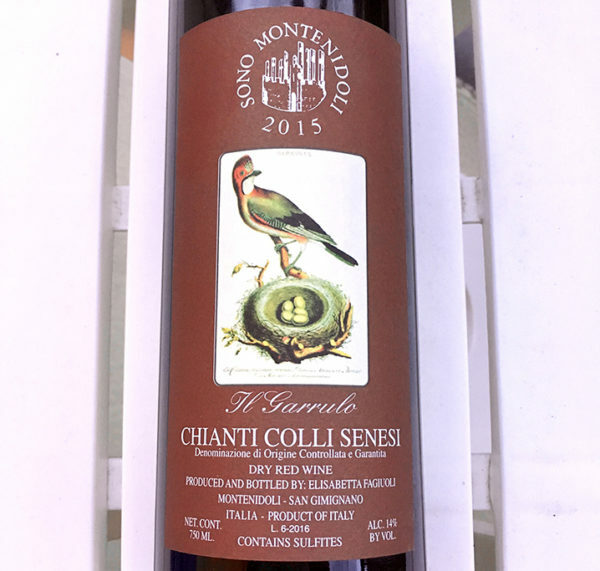 Due to its medium tannins, this Chianti was made for pairing with tomato-based sauces, such as spaghetti with meatballs, pasta bolognese or lasagna. Similar to the Vernaccia, the tasting profile is endless and has lots to offer. Flavors of violet, tobacco, spice, vanilla, cherry and stewed strawberries are all evenly balanced within the wine. Do you like natural wines? Have you ever tried them? Curious to learn more? Stop by the shop and pick some up!